Our formaldehyde-free PureBond® Veneer Core Hardwood Plywood has been certified by the HPVA to be California Air Resources Board Phase 2 Compliant, meeting the formaldehyde emission limits of .05 ppm or less. Columbia Forest Products has received written approval from the California Air Resources Board (CARB) to be exempted from routine formaldehyde emissions testing for its veneer core hardwood plywood products produced with soy-based PureBond formaldehyde-free resin technology. Click here to learn more. Are you a fabricator working in or shipping into California? If so, we want to update you on our progress toward compliance with the California Air Resources Board (CARB) air toxic control measure on formaldehyde emissions from composite wood products. Columbia Forest Products has been manufacturing an alternative to traditional urea formaldehyde-based products for years now. With our PureBond® formaldehyde-free hardwood plywood technology, we’ve got a proven, consistent answer to concerns about formaldehyde emissions. The CARB regulation goes into effect January 2009. We can help you prepare your California strategy now. The emissions from our domestically assembled PureBond® veneer core panels satisfy CARB’s Phase 2 formaldehyde emission limits today. For Columbia, this is not a special order or part-time effort. Formaldehyde-free PureBond® is our standard lamination technology, assuring you of proven performance, timely availability and consistent pricing. Columbia has now received its official certification from the HPVA, our third-party certifying lab, so we can publicly promote our hardwood plywood as CARB-compliant. But as we have done in the past, we have gone beyond compliance and can provide our customers hardwood plywood that satisfies the next phase of the CARB regulation, more than a year in advance! You’ll soon be hearing lots of chatter in the market and announcements of new, CARB-compliant products. We urge you to ask for the CARB-assigned TPC number to ensure that the products are truly compliant and that your interests are protected. Columbia has made over 50 million PureBond® panels in the past two years and we are committed to helping you be successful in this complicated regulatory environment. As always, thank you for your business, please contact us with any questions. 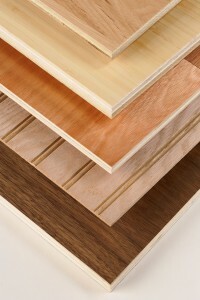 We have selected HPVA (Hardwood Plywood & Veneer Association) as our TPC. The HPVA is our industry’s key trade association, we’ve been a member for twenty years, and they operate one of the leading large chamber formaldehyde testing labs in North America. Working with HPVA as our TPC, our domestic veneer core offering has been certified as compliant; this will be indicated by HPVA’s CARB-assigned number appearing on paperwork and packaging.